The internet is changing the way we live, work, produce and consume. With such extensive reach, digital technologies cannot help but disrupt many of our existing models of business and government. As we enter the age of the Fourth Industrial Revolution, a technological transformation driven by the internet, the challenge is to manage this seismic change in a way that promotes the long-term health and stability of the internet. At the heart of the internet is data – massive amounts of it. Volumes of data are growing at a rate of 40% per year and will increase 50 times by 2020. A measure of the speed of growth is the estimate from Singapore-based Aureus Analytics that 90% of all data in the world was created in the last two years. As mobile usage goes up, so do personal data volumes. Over half (51%) of all internet users worldwide are in Asia: China has 1.3 billion mobile subscriptions out of a population of 1.36 billion, while India has 0.91 billion mobile subscriptions out of a 1.25 billion population. But the amount of industrial data is growing even faster. 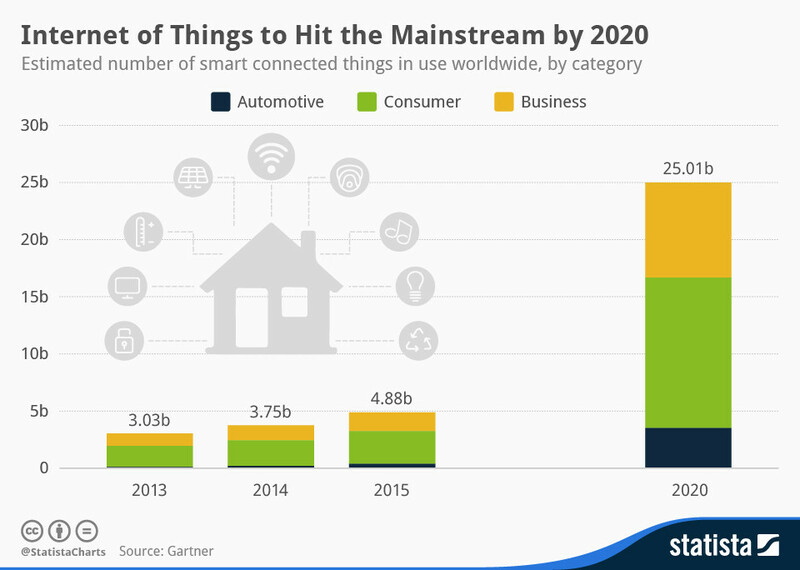 Today Gartner estimates there are about 4.9 billion connected devices covering products from cars, homes, appliances and industrial equipment. This will reach 25 billion by 2020, driven by initiatives that introduce smart meters and more efficient street lighting. This wave of data brings challenges and opportunities, as we grapple with the best ways to govern, process and analyse it. What opportunities and challenges will the internet bring? The internet is reshaping public and private sector structures, creating new markets for business. But organizations will also need to strengthen the security of their customers’ data. Many of the digital benefits to date have come through efficiency gains as businesses use data to tailor what they offer to customers. Another opportunity and challenge is to find new sources of income and value from digital transformation. New propositions such as city car-hire schemes are creating new partnerships, business models and platforms for bringing buyers and sellers together. There are still more people offline than on. The United Nations has included universal affordable internet access in its Global Goals, which collectively aim to reduce poverty, advance health and education and improve the environment. The goals recognize that the internet can aid global development by connecting neglected and underserved communities around the world. With technology evolving at breakneck speed, regulatory frameworks often lag behind. The rules that govern the use of all forms of data on the internet need to be relevant and appropriate to the pace of technological change. As the internet becomes more pervasive, so do the tensions between national interests and global inter-operability. The rules governing the cyberworld are being tested on a daily basis as governments and individuals raise concerns about data security and privacy. The innovative potential unleashed by digital technologies is also raising questions about rules and ethics, as well as societal benefits and costs. For organizations and individuals to have the confidence to conduct transactions and exchange information, the internet has to be secure. This means that as the amount of industrial data grows, there will be greater need for digital security services focused on protecting the integrity of devices connected to the industrial internet. Incidents of cybercrime are rising significantly. In the United Kingdom, 2.5 million computer-related criminal offences were reported in the 12 months leading up to June 2015. The year 2015 has seen another significant escalation in the rise of cyber threats. The United States has the most attacks, with its industrial sector, governments and education institutions the most frequent targets. Cybercrime is considered to be the number one motivation behind the attacks, followed by hacking and cyber espionage. The increase in the range and sophistication of attacks, as well as the potential brand damage due to loss of data or blackmail, have pushed cybersecurity up the agenda for large and small organizations. 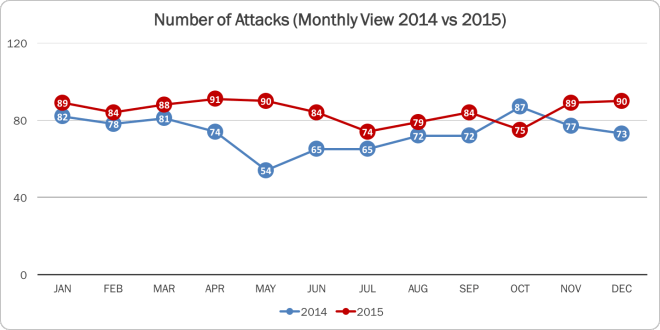 The chart below shows the number of cyberattacks globally in both 2014 and 2015. By focusing on privacy, cybercrime, access and societal challenges, the FII initiative aims to support the internet's evolution into a core engine of human progress, safeguarding its globally integrated, collaborative and widely distributed nature. Click here to find out more about the Forum's Global Challenge, The Future of the Internet.